The Seiko Eichi II is perhaps the ultimate in Japanese watchmaking, a delicately simple timepiece executed with an exceptional devotion to quality and refinement. As movement finishing goes, the Eichi II is up there with the greats. 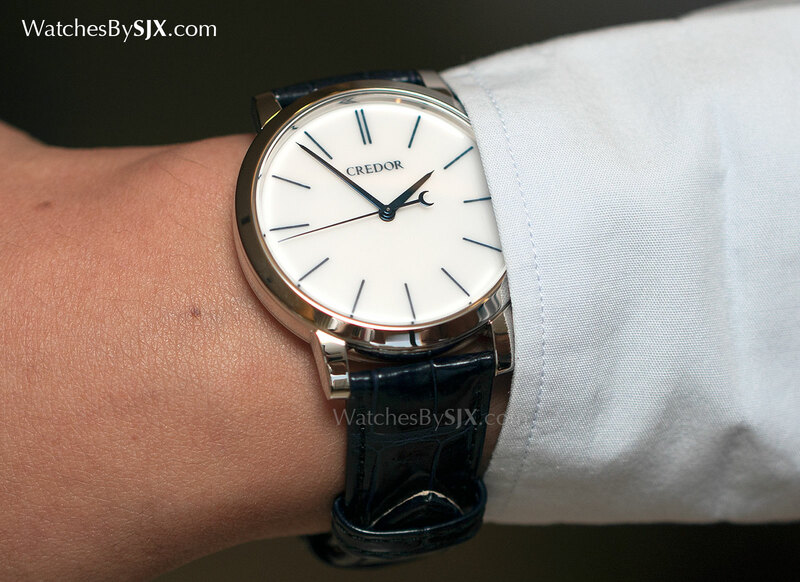 A simple premise lies behind the Seiko Eichi: a hand-wound, time-only wristwatch of unparalleled quality. 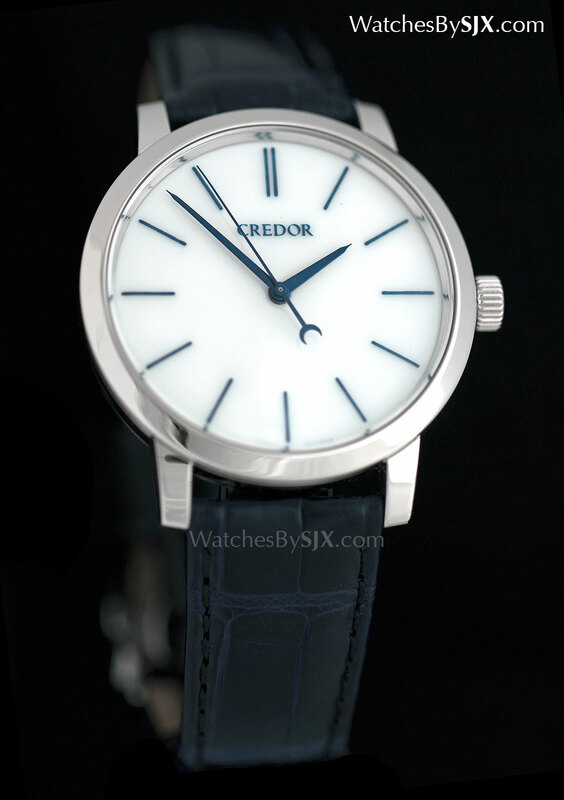 That guiding philosophy was first realised with the Credor Eichi I, and then refined in its successor, the Eichi II. 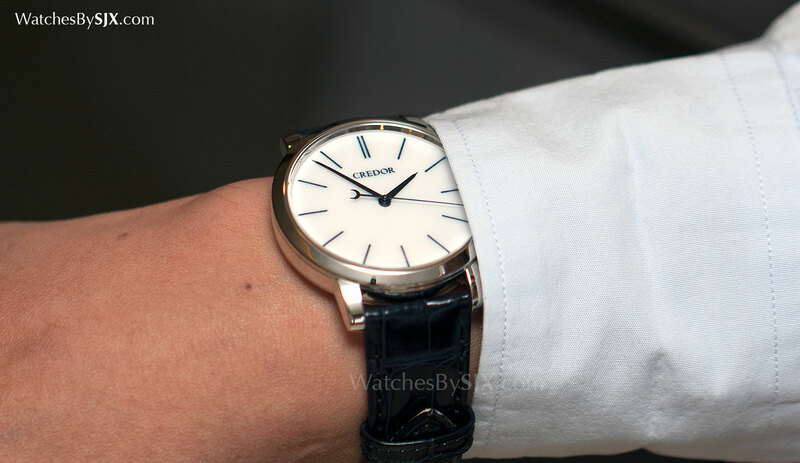 Introduced in August last year, the Seiko Eichi II made its international debut at Baselworld 2015. The Eichi II maintains the key ingredients of the first generation, simple, functional aesthetics combined with the best materials – platinum, porcelain and blued steel. Some improvements are cosmetic, like the larger case diameter to accommodate modern tastes or the platinum deployant buckle. Others are fundamental, like the impetus to make as much of the watch as possible, which is why the porcelain dial is painted in-house. 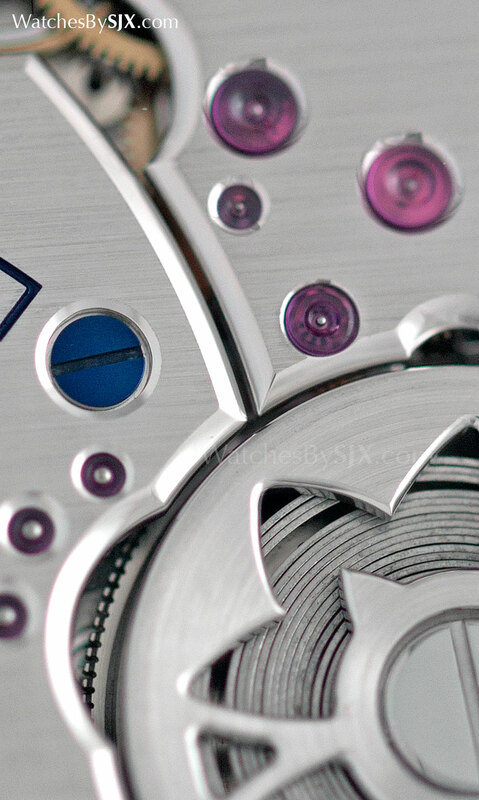 Strikingly plain at a distance, the Eichi II only reveals its brilliance up close. 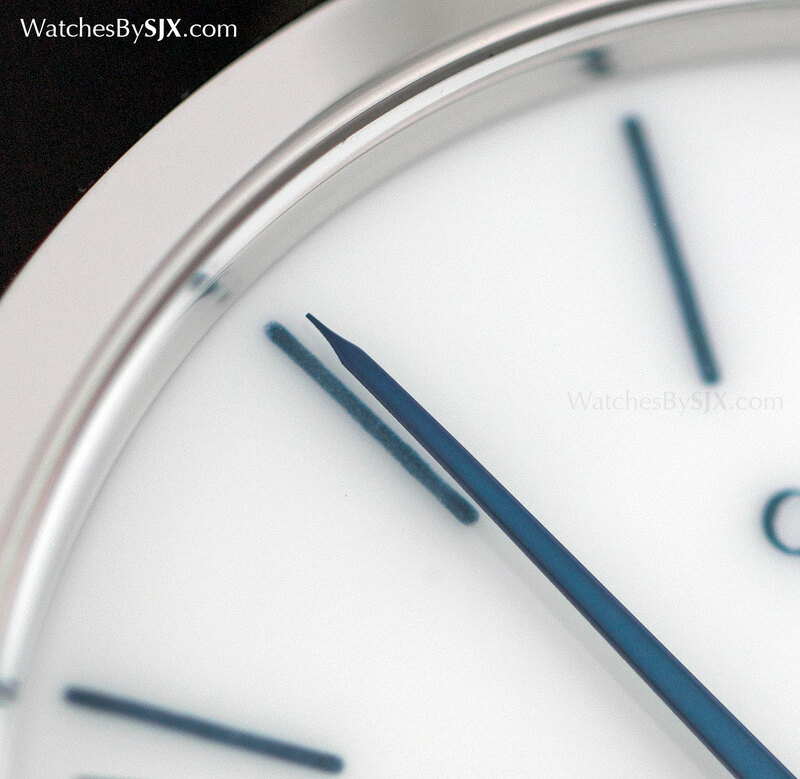 The white dial is porcelain, nearly pure aluminium oxide, giving it an almost luminous colour that’s more intensely white than normal porcelain. Whereas the dial of the Eichi I was made entirely by Noritake, a Japanese manufacturer of fine bone china, the Eichi II dial is produced by a porcelain specialist, but painted by the craftsman of the Micro Artisan Studio. 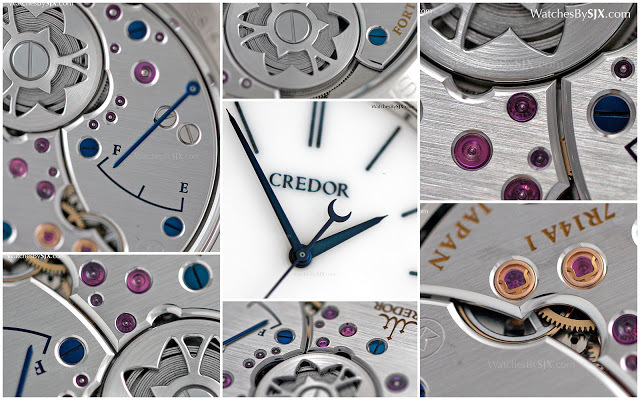 The dozen strong team of the studio are responsible for some 25 watches a year, 20 of them being the Eichi II and the rest either the Credor Minute Repeater or Sonnerie. Though most of them are watchmakers or engineers, one of them took it upon himself to learn the art of painting porcelain. The result is a dial painted by hand, but with the precision of mechanical printing. 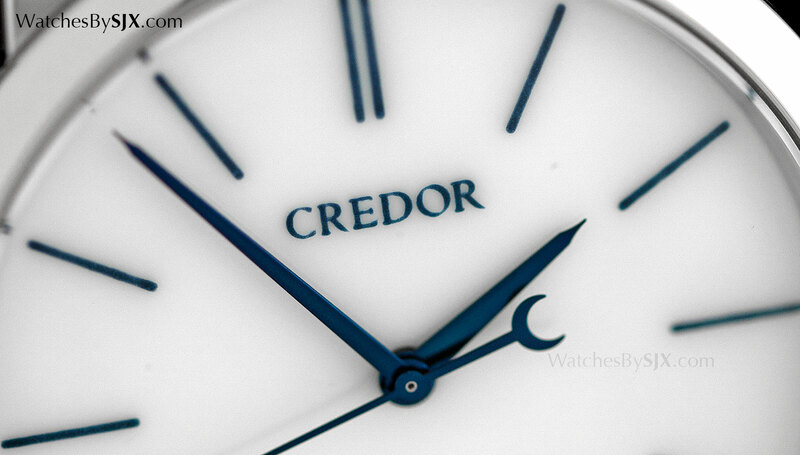 All the indices as well as the logo on the dial are dark blue, to matched the blued steel hands. They are slender but substantial in thickness, tapering to an extraordinarily fine tip. 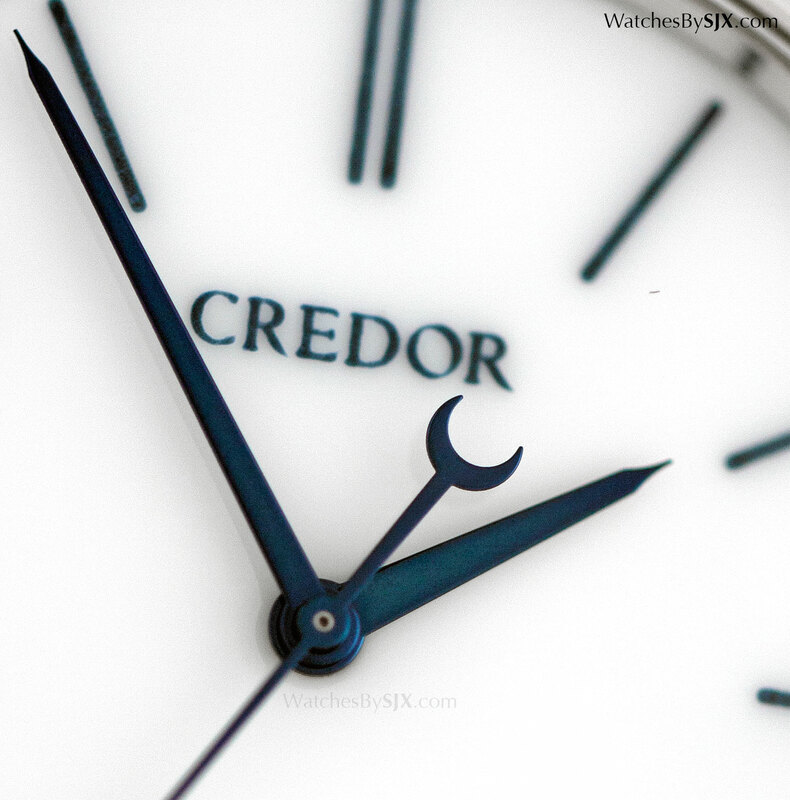 Perhaps the only adornment on the dial is the crescent on the end of the seconds hand. The real magic, however, lies behind. 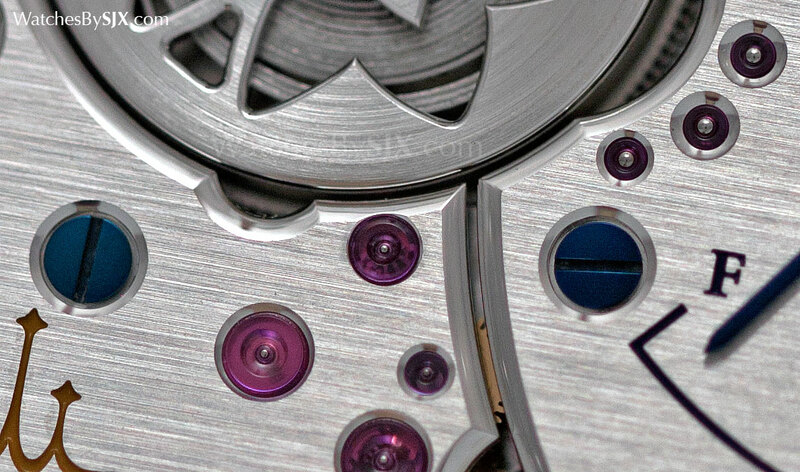 First, the technology behind the movement. 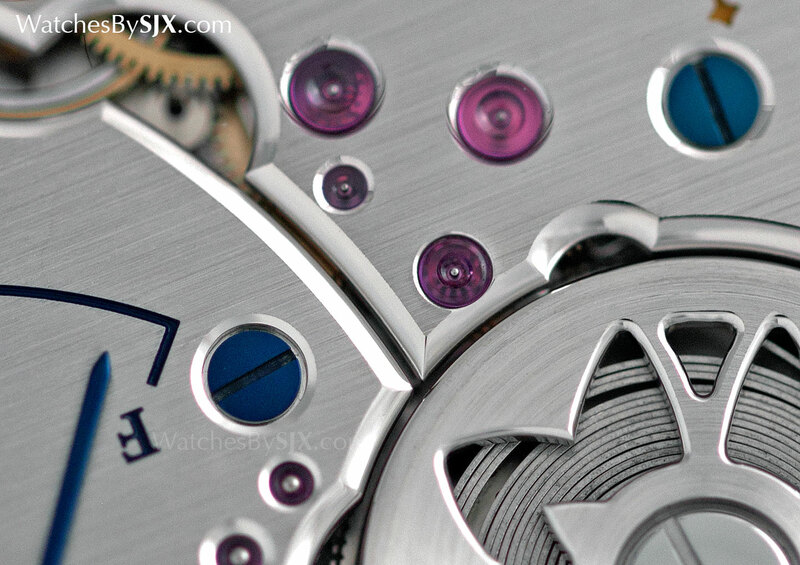 The calibre 7R14 in the Eichi II is hand-wound, with a Spring Drive regulator. Invented by Seiko, Spring Drive comprises three essential components: a flywheel that functions as the oscillator, a magnet that regulates the rate of the flywheel, and an integrated circuit that controls the magnet to sure it accelerates and brakes the flywheel to maintain a perfect rate. Because of the electronically-controlled regulation, Spring Drive watches are rated to +/- 15 seconds a month, or about half a second a day. 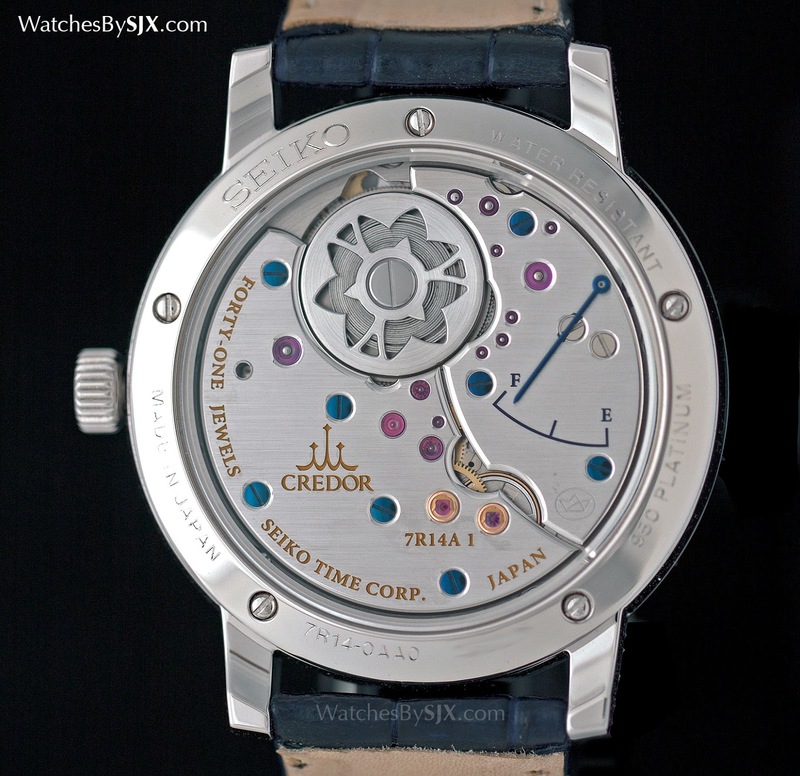 The COSC standard for conventional mechanical watches is about 5 seconds a day. Another unique innovation is the torque recycling mechanism, a wheel beneath the barrel that uses excess torque from the mainspring to rewind it. This extends power reserve by about 15 percent. Technology, perhaps, is just a distraction. 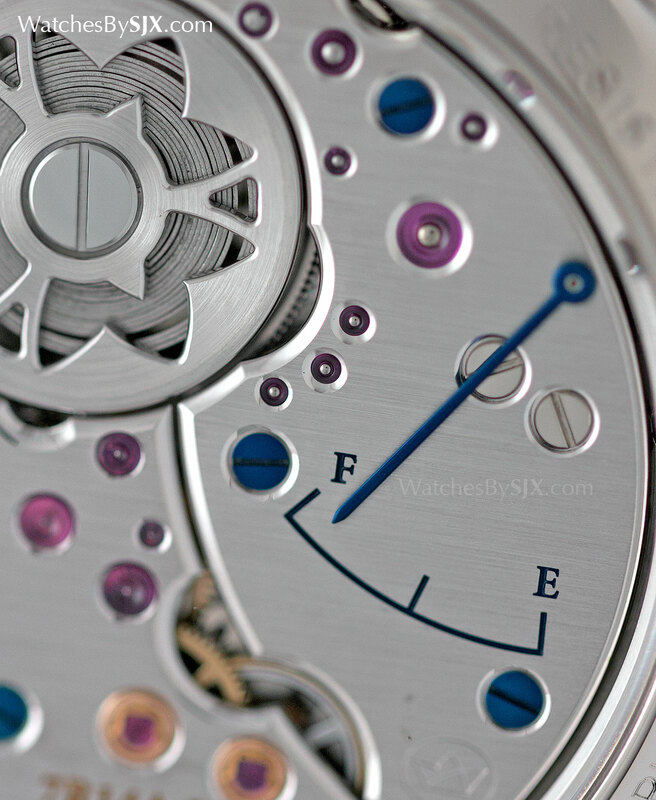 The Eichi II is really about movement finishing – pure, unadulterated traditional, artisanal decoration. Even Philippe Dufour regards it as exceptional (I asked him – twice just to be sure). Most of the movement is covered with two large bridges. Despite their size, the bridges have wonderfully intricate shapes, with at least a dozen pointed corners just for the sheer luxury of decorating them. The bridges are rhodium plated brass, finished with a fine straight graining, a modest finish that reflects the modest character of the watch. This plain surface finish serves to highlight the stupendously brilliant anglage, or bevelling of the edges, seen around all the bridges, as well as in the countersinks for the jewels and screws. So perfect is the edge finishing that even where the anglage is interrupted by a jewel hole, it remains seamless, flowing from the edge of the bridge to the countersink. Skeletonised with a bellflower motif (the symbol of the town of Shiojiri where the Micro Artist Studio is located), the barrel is similarly finished. 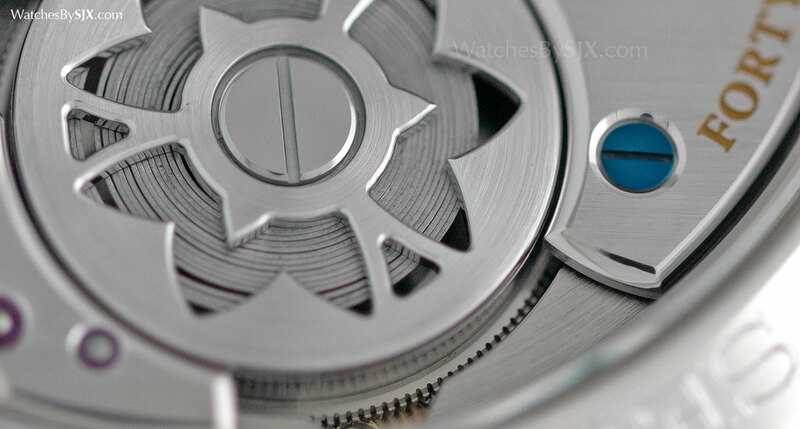 The sides of the open-worked barrel cover are so highly polished they act as a mirror, reflecting the mainspring below. Put simply, the movement decoration of the Eichi II is impeccable and on par with the contemporary greats like Philippe Dufour and Kari Voutilainen. 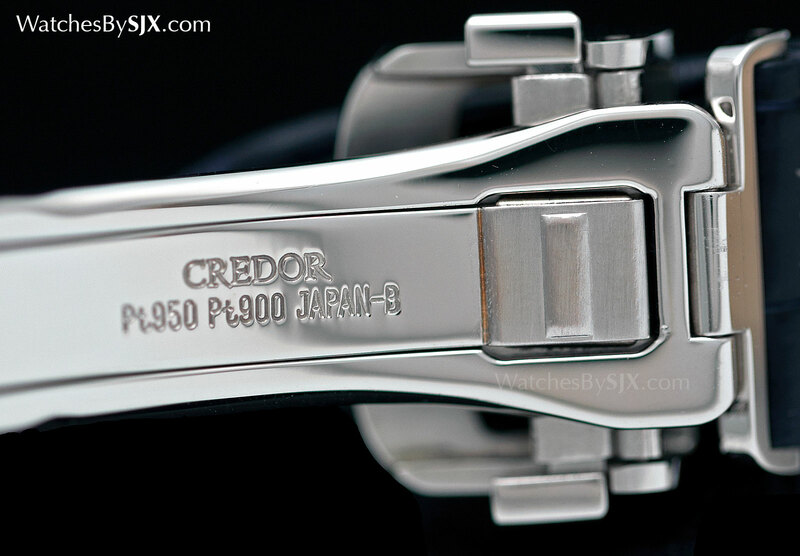 Extraordinary attention to detail extends even to the platinum deployant buckle, which is made of two different platinum alloys, instead of the usual single alloy as nearly all buckles are. 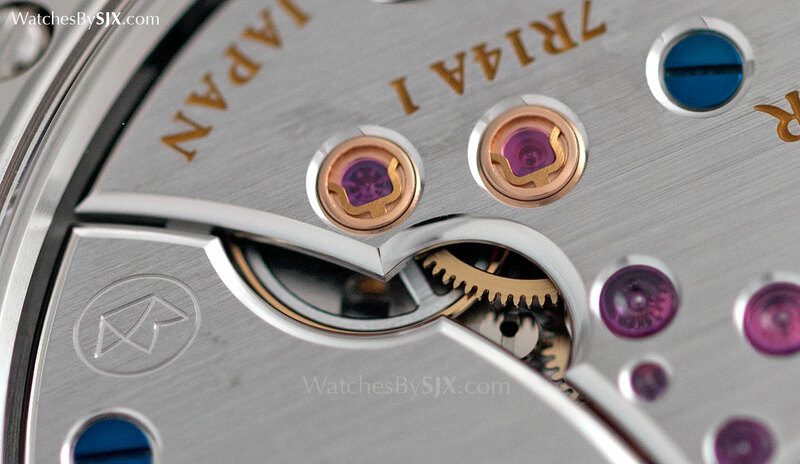 Platinum 950 (95 percent platinum), which is standard for watches, and platinum 900 (90 percent pure), are employed for their different levels of hardness and strength since the clasp requires varying physical properties for different components. 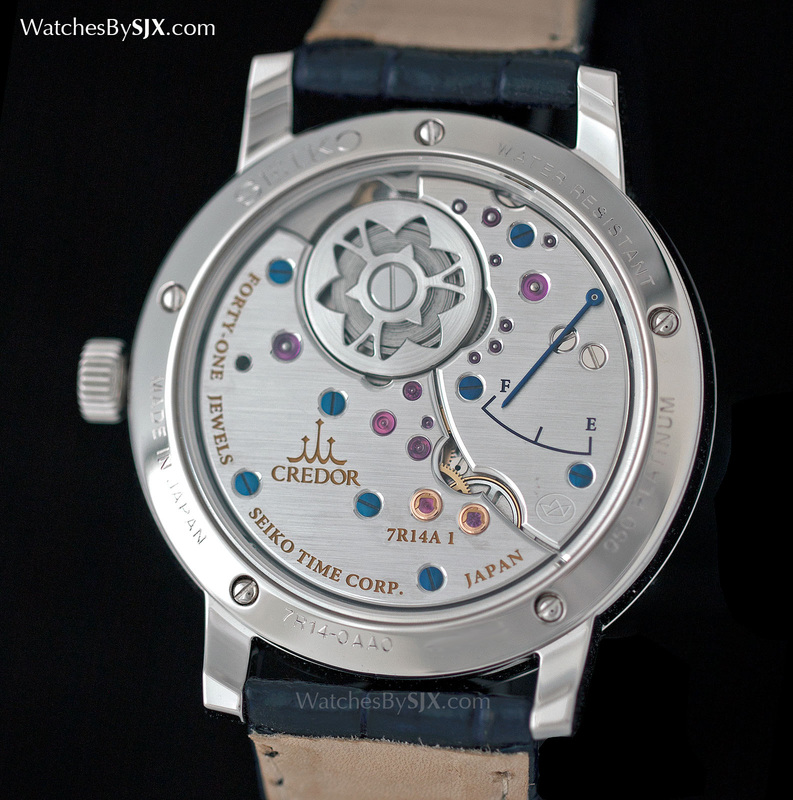 The Eichi II retails for 5.94 million Japanese yen, or just shy of US$50,000, and it is worth every yen. Addendum April 16, 2015: It must be pointed out that the Eichi II retails for exactly the same, with taxes, as the Eichi I. That is despite the consumption tax in Japan having risen from 5% to 8%. In effect Seiko has lowered the price of the Eichi II. Their explanation is that it was inappropriate to raise the price, given it is an equivalent product, and also because consumers already have to endure higher prices for other goods. Correction July 25, 2015: Edited to correct material of movement bridges, which are rhodium-plated brass, and base plate as well as chemical composition of dial that is nearly 100 percent aluminium oxide. 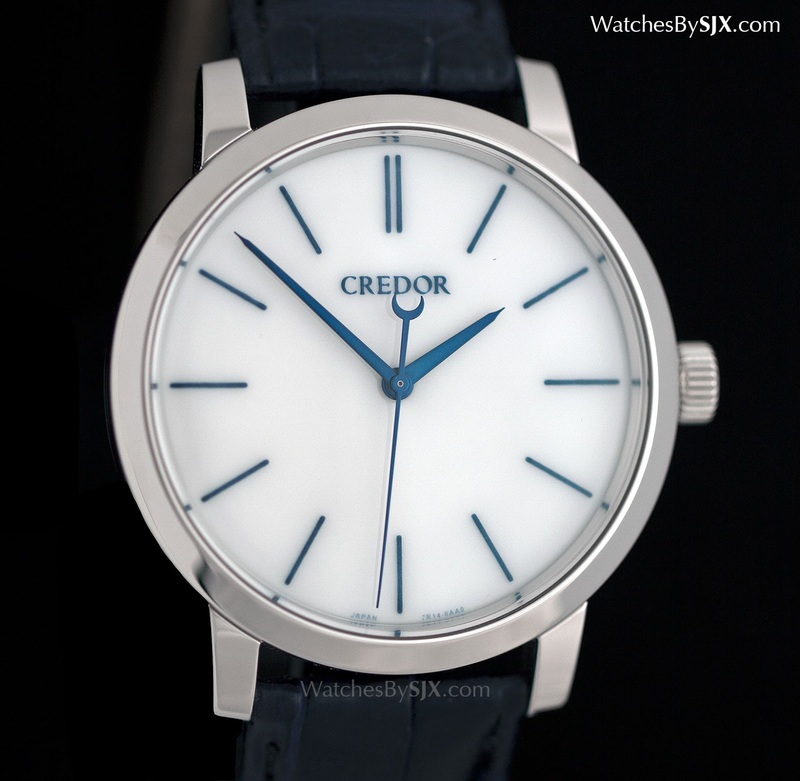 A stupendously finished yet simple timepiece, the Seiko Credor Eichi II is the second generation of a wristwatch that equals the work of Dufour and Voutilainen.